Professional Media Composition is for composers who want to earn a living writing music for media. It delivers the creative, technical and business skills to help you succeed. Taught exclusively by working professionals, the course is embedded in the industry so students can be sure they are learning exactly what it takes to make a living right now. The course introduces you to a wide range of opportunities, everything from commercials to production music, industrial video to animation and of course, but not exclusively, film and games scoring. On this course we are pleased to welcome musicians from a contemporary electronic background as well as those who are classically trained. There is no music theory requirement for this course, just talent. Ability to use a DAW and familiarity with music technology is important however. Telephone and direct email support. Personal 1-to-1 tuition from top professional composers. Work on over 20 projects. The workload is challenging but it’s only through hard work that you will truly reach the next level. Same training system we use in-house to train our assistants. Detailed feedback from a range of tutors, online workshops and tutorial groups, forum discussions and exclusive webinars. You will learn to write in a wide variety of styles, using different compositional techniques. You will produce professional quality mock-ups and demos. We take students through many different areas of the media, each of which has specific requirements and expectations. 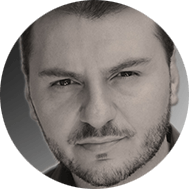 You will learn the technical aspects of writing to picture, spotting a film, and working with hit point and markers. You will appreciate how music can respond creatively and intelligently on many different levels to the project you’re engaged with. You will become proficient at music editing which is an important skill for composers both in terms of boosting productivity and also in opening new avenues of work. Hear first-hand from a ThinkSpace Education postgraduate student. Composer and sound designer Adam House talks what it’s like as a ThinkSpace student: distance learning, self-initiated studying, the ThinkSpace Education student community and the benefits of our intensive programme. If you are considering a ThinkSpace Education master’s degree and want to speak directly with one of our current or past students in a similar position as you, then drop us a line and we’ll put you in touch. Students mainly go on to work as film, tv and games composers in a wide variety of areas of the industry. Many of our students are already working composers looking to update their sound, and take their music to the next level. Other students teach in higher education and use this course to add professional experience and a deep knowledge of contemporary commercial practice to their skill set. Our tutors are all current working professionals, many involved at the highest level in the business. Avengers: Earth’s Mightiest Heroes, Iron Man Armored Adventures, Lassie, Jungle Book, Angry Birds, The Scream, The Haunting in Connecticut, Spectre (Cinematic Trailer), Assassin’s Creed Syndicate (Game Trailer), Pokémon Movies, Robot Chicken, Casper The Friendly Ghost, Aladdin Prince of Thieves, Project Cars, Red Bull Air Racing, World of Speed, Ripper Street, Batman: Arkham Origins, Tony Awards 2016, Die Hard 4, Cloudy With A Chance of Meatballs and hundreds more. They’ve worked for every major film and game studio and networks and production companies including Disney, Dreamworks, Marvel, Universal, Warner Bros, Sky, BBC, ITV, NBC, ABC and many others. We are extremely grateful to our guest lecturers who have contributed either in person at seminars and live events or on video, which includes Harry Gregson-Williams (Shrek, Chronicles of Narnia), Marco Beltrami (Terminator, The Scream, Die Hard 4) David Arnold (The Bond Movies, Independence Day) Nick Hooper (Harry Potter 5 and 6) orchestrator Peter Bateman (Avengers: Age of Ultron, Maleficent, Hunger Games) and Jeff MacDonald (trailers including BFG, Jason Bourne, Ghostbusters and over 200 more). On successful conclusion of your course, you will be awarded a Master of Arts degree from the University of Chichester. All UK degrees, including those of the University of Chichester, are recognised worldwide. The qualification is fully accredited in the UK and subject to regular quality control, review and external invigilation to ensure the highest academic standards are maintained. 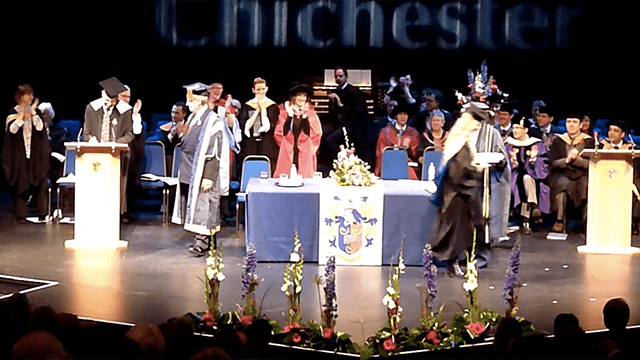 The graduation ceremony takes place in Chichester each year where you will receive your degree alongside your fellow students and the rest of the university’s graduates. Learning to work in a range of common media styles while developing collaborative skills. This takes students out of their comfort zones and into approaches to composition. Strategies for working out what the client wants and how to give it to them. We look at several important areas of potential work including corporate or industrial video production and TV themes and idents. Games, factual television and library music. Technically and creatively more demanding with more complex briefs. We look at productivity and techniques for writing faster as well as better. Putting all this in context, learning to analyse how and why music is used. Learn research skills and understand where media music fits into wider cultural and academic landscape. A vital skill for improving productivity and a great first step into the world of scoring to picture. Also of course a possible career path in itself. 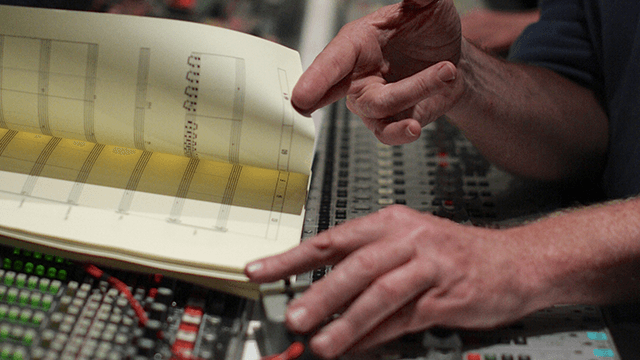 We introduce you to the technical and creative challenges of scoring to picture. We examine several areas of TV where many composers earn a living – documentaries, animation and commercials. Film and TV drama places special demands on composers. In this module you will be scoring a variety of short films and sequences from full length features while we look at how music works with the narrative and addresses the themes within the film. A choice of topics including Music Business: Work and Money, Advanced Pro Tools, Sibelius, Kontakt Programming and Sound Design. This longer three month project involves composing (or arranging) and orchestrating 15 minutes of music under real-world conditions. 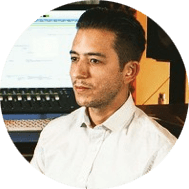 You will be required to produce record-ready scores, parts and pro tools sessions as well as a professional grade sampled mock-up of your work. There are a very wide selection of projects to choose from and students can put together several in the form of a portfolio or tackle one longer assignment. start from £57, $83 or €75 a week. For more FAQs, and more information please visit the Applications & FAQs, Student Finance and Study With ThinkSpace pages. How much music will I write? Depending on the choices you make, you will be working on 15-20 scoring projects, each of roughly 5 minutes of music each. Full time students therefore will be writing 75 minutes of minutes of music in 9 months or 2 or 3 minutes a week. Then there is the final major project where you will write an additional 30 minutes of music over the course of 3 months. How much academic writing is involved? Each of the 15 – 20 scoring projects you submit will be accompanied by a 200 word commentary explaining how you approached the task. This writing is not marked directly but is used to inform your tutor’s feedback. Likewise the final major project is accompanied by a 2000 word commentary. We expect you to have a good, solid knowledge of one digital audio workstation. You need to write music fluently and productively. You should be able to produce roughly two minutes of music in a day. Your demos should be of good quality and we are happy to listen to your music and give you an opinion on this before you apply. A high level of music theory is a big advantage but we appreciate there are many different ways to great a great score and you will be judged principally on the potential shown in your portfolio. Throughout the course, you will be required to read books and listen to recordings. These are not included in the course price. We have found over the years, with a few exceptions, it is far more cost effective for students to purchase books and scores locally than for us to send them out to you. So you should expect to have to source and purchase, rent or borrow a fair amount of recordings and printed material, a full list of which will be available in the course handbooks. Applicants should have an undergraduate degree. If you don’t have a music degree, then other experience can be taken into account, including work-based experience of making music, professional development courses like Music for the Media and Cinematic Orchestration and undergraduate degrees in other subjects. This RPL, as it’s known, is always assessed on a case-by-case basis. It also depends in part on how many other students in the cohort are using this route, as there is a maximum percentage of students we can take through this process. As all of our materials are available through download only, a stable and reasonably fast Internet connection is also required. We cannot send out hard copies of the course materials. You must also have a reasonable to top performance computer (Mac or PC) as well as at least a basic orchestral virtual instrument library (we can advise you if you’re not sure about your setup). Sample libraries are a must-have for the course. There are literally thousands of libraries, many of them capable of creating outstanding quality demos and we could have chosen any number. Most of the libraries listed below are available at a significant educational discount. Lois is a Professional Media Composition student, professional composer, ThinkSpace Education student representative and general practitioner to boot! Only half-way through her 3 year program, Lois has gone from writing music in Sibelius to producing high quality, professional sampled mockups. With the skills she’s learnt, she’s now got her sights set on making a career move from medicine to music! My name is Tim and I’m the MA course manager here at ThinkSpace. If you have any questions that you’d like answering, please don’t hesitate to fill in the contact form below, or email me at postgraduate@thinkspaceeducation.com.